When we think for a minute about mobility and transportation, it is a thing so ordinary and habitual to our lives that we don’t even realize how essential it is. If we think about what our lives would have been without access to mobility and transportation, to say we’ll have quite a challenging day wouldn’t be enough to portray what a day without these facilities would look like. Even more, to the present-day, so accommodated to technology generation. 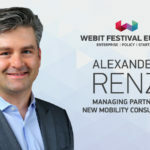 The Managing Partner at New Mobility Consulting Alexander Renz presented his vision on the future of mobility at Webit.Festival 2017 in Sofia. One of the trends in mobility is connected vehicles. 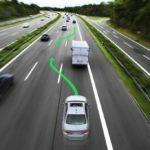 Vehicles become connected, these connected vehicles become part of the Internet of Things, which implies quite a lot of security risks, but also opportunities to deliver new services to the vehicle and customers. Another trend is autonomy, the role of AI self-driving cars, drones, and who knows where it’ll end. A future of cars driving around looking for passengers to pick up or to deliver goods from town to town is not unimaginable at all. Thanks to Elon Musk we’re on the way to accomplish zero emission mobility, enabled by electric cars and infrastructure. 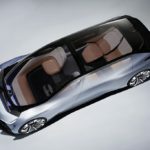 It doesn’t only concern about creating the vehicle but a complete system with energy generation, electric charging infrastructure and the vehicles adapted to the new system. The major problems in cities – parking, deliveries, ticketing, faster and better transportation and infrastructure are all on the table of resolving. The key thing is, that this is no longer a world where technology plays a role in making things better but it’s a complete technology driven transformation of a critical sector. This transformation of mobility will impact a lot of different industries. The model of owning a car has been already challenged since the birth of Uber, Lyft and other examples of the sharing economy. Once we’re ready and sit in our self driving vehicles, the monetization model of the future would be very different from today – the use of Internet services, the type of content we’ll consume in in our added spare time while we don’t have to drive. Mobility and transportation is an industry being heavily disrupted and has yet to be disrupted, still.